Robert de la Cheyniest: Corneille! Put an end to this farce! Corneille, le majordome: Which one, your lordship? 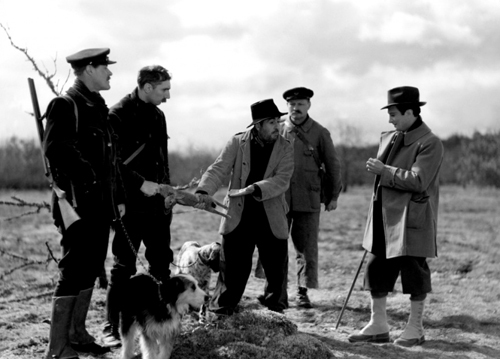 The Rules Of The Game (1939), the famous French director Jean Renoir’s comedy of manners. The story of how the film came to be ranked as one of the greatest of all time is very interesting in its own right. It is said that at the films premiere in France, a man rolled up a newspaper, lit it on fire, and threw it at the screen. Apparently, this act of arson accurately represented the overall reaction to the film by its audiences. It is not difficult to see why this was the case, considering the film is basically a mockery of French society. To an extent, one may even refer to it as a satire, as it does take the stereotypical French lifestyle to what must certainly be an extreme (although to be honest, I see it as being completely plausible). At any rate, the film’s original negatives were destroyed during WWII and it wasn’t until 1959 that the film was reconstructed. This newly restored version was released to startling critical acclaim; even more surprising to Renoir (after what happened the first time he released it). Since then, The Rules of The Game has been held highly in classic cinema. The plot loosely revolves around the young pilot, André Jurieux (Roland Toutain), who has just completed a cross-Atlantic flight (think angry, French, Charles Lindbergh). He is infuriated to find that the woman who inspired him to make the flight is not there to greet him. Why isn’t she? Because she is Christine de la Cheyniest (Nora Gregor), wife of the Marquis Robert de la Cheyniest (Marcel Dalio) of course. And thus begins the discovery of a love triangle. I say that because it is only one of the triangles that is eventually unearthed. 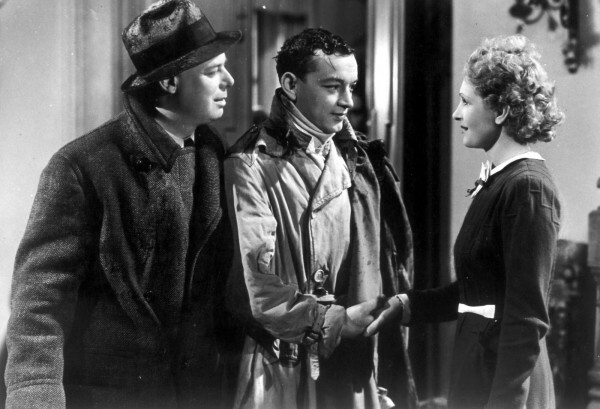 The Marquis decides to have some guests over for a weekend at his château, and on the insistence of Octave (a great friend of André’s and played by the director, Jean Renoir), an old friend of Christine’s, he invites André (try to keep up, it hasn’t gotten complicated yet). As preparations for the weekend begin to play out, it becomes clear that it will be anything but a few peaceful days on a French estate. It doesn’t take long before André allows his passion for Christine to take over his senses, as he attempts to convince her to run away with him. The funny part about it is that this romance is only one of the romances that unfolds at the château. 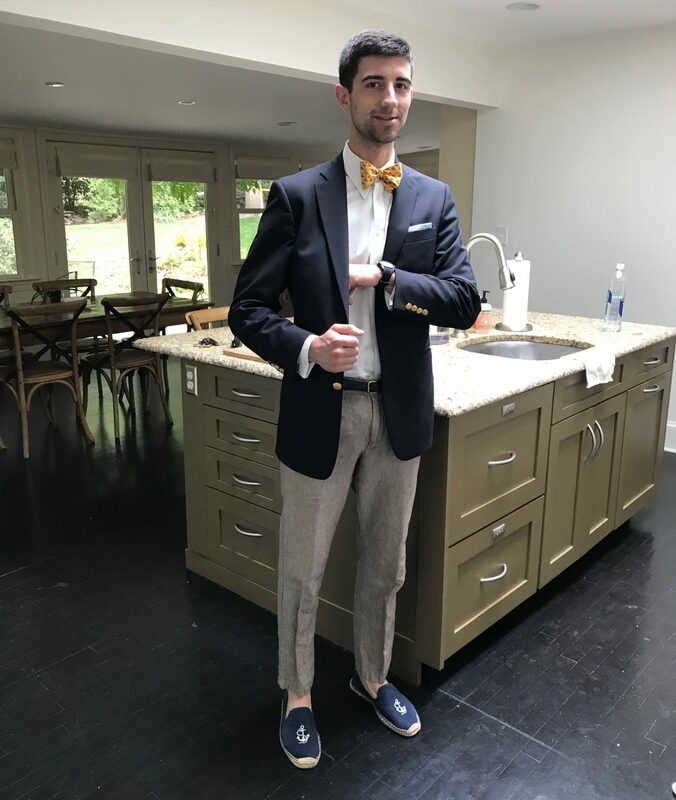 Whether the passions for other people were already in the guests’ hearts, or they developed them in their stays at the Marquis’s estate is unclear. It doesn’t take long before small, separate love triangles become intermixed into what can most accurately be described as a love labyrinth in which, in one way or another, everyone is cheating on everyone with everyone else (see why it wasn’t applauded at its premiere? (too accurate perhaps?)). Some of the romances are so unbelievable, in that never you wouldn’t think the two would be together, that you eventually stop trying to follow them. Everything becomes much more entertaining at that point, as people start to be chased, punched, and even shot at, and the film begins to show its genius. 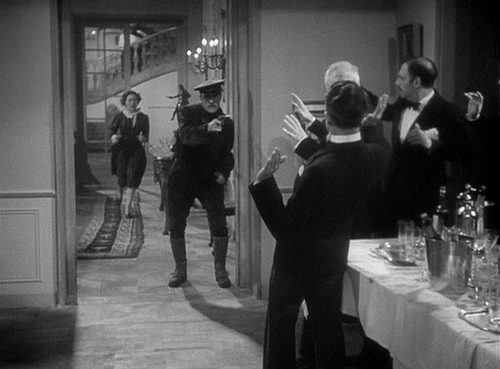 The Rules of The Game truly reveals the talent of one of the world’s all-time greatest directors, Jean Renoir. Renoir makes this a film at which we can all laugh, and in which many will discover they are actually laughing at themselves.